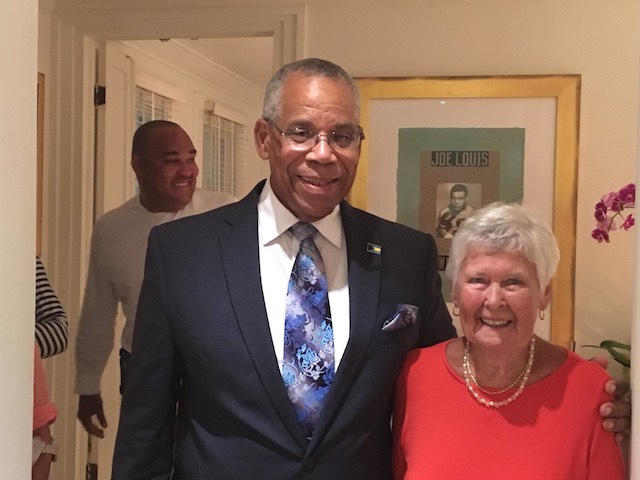 A 90th Birthday party in Governors Harbour Eleuthera ! 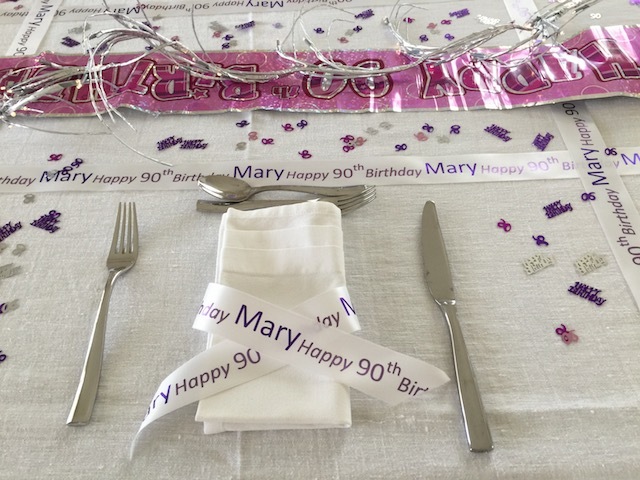 So we did it – we threw the party of the year for Mary’s 90th birthday right here in Governors Harbour Eleuthera ! Sunday February 19th was the date – her birthday is actually the 20th – but at 7pm here it was midnight in London and the day of her birth !!! We held it our house Buena Vista as the Yellow House – what we call our party house – was occupied. The preperations and pampering started before the big day. I had taken Mum shopping for an outfit for the party when we were in Fort Lauderdale in the autumn last year so that was sorted – and I booked a block appointment with the lovely Cleomie Rankine for manicures and pedicures for the birthday girl, my sister Anne – who is over here for a few weeks – and myself for Saturday. It is such a luxury to have Cleomie come to the house to do her thing – and then not have to worry about messing up her work by driving away ! 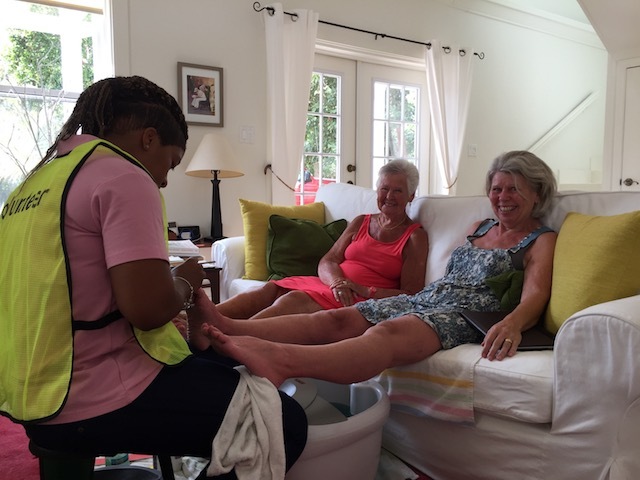 Cleomie Rankine busy with the pedicures …..
Sunday morning – the day of the party – and Anne came over to organize the decorating of the house with me. She has a great eye and is a real stickler for making it look right so we had a great time doing it together. She brought quite a few decorating items over with her from England – and those things combined with what I found on my visit to Party City meant that the house looked suitably festive ! Sunday afternoon I gave Mum a birthday blow dry so her hair looked as good as the rest of her ……. Me and my skin and blister – (sister) – Anne – this is about the only picture with her in it as she spend all evening taking the pictures – thanks a million for that ……. Caught sampling the food again ….. 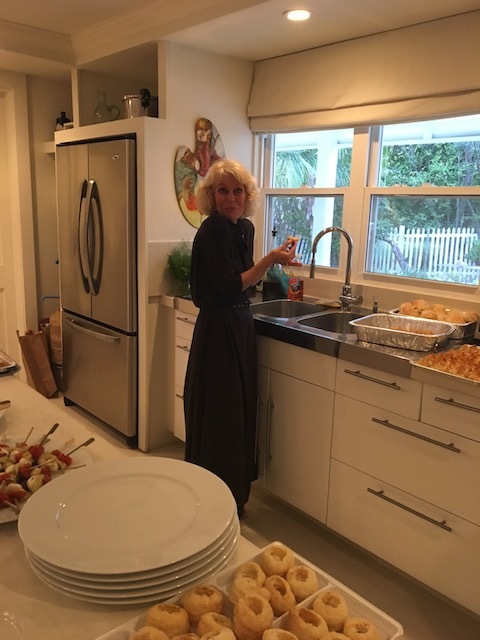 It is interesting to think about what makes a good party – for me it means ample quantities of great food – nothing worse that thinking that you are going to run out ! 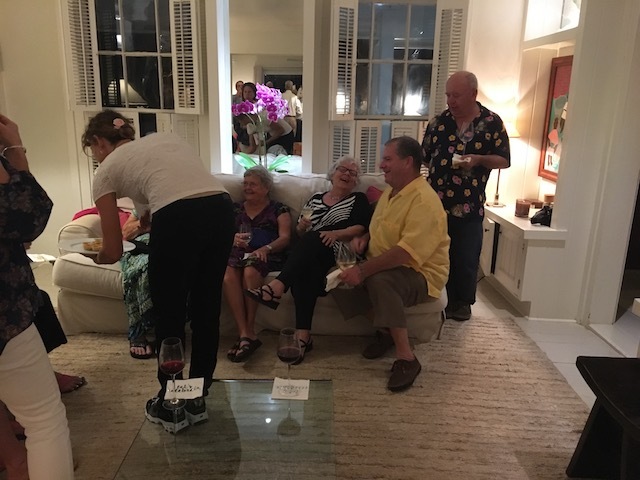 Ditto with drink – a good selection of wine, beer and soft drinks was what we went for and plenty of friends ready to have a good time ! 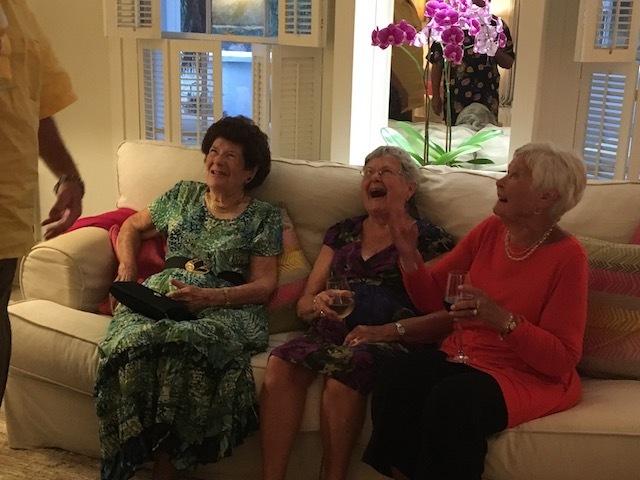 Normally at a party the music is important, but for Mum – who is pretty hard of hearing – the background noise of music means that she has even more difficulty hearing what people are saying – so we went without and I really don’t think that it was missed. This house works well with a largish group of people – the flow of the house means that no-one feels cut-off. We set the dining table for 8 and the rest of us had plates and ate where we could…. Huge thanks to Anne for the beautiful ribbon and birthday confetti …. 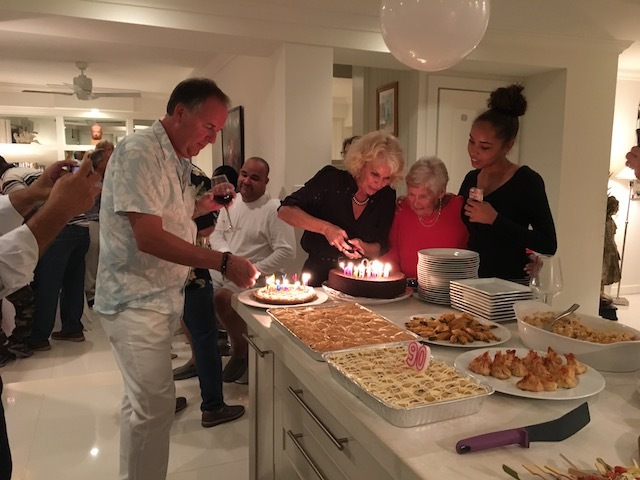 Cindy Morley from Tarpum Bay made Mum’s favorite Kaluha chocolate cake which along with a selection of other outrageous deserts – a whole tray of yummy baklava – meant that everybody had more than enough to eat…. 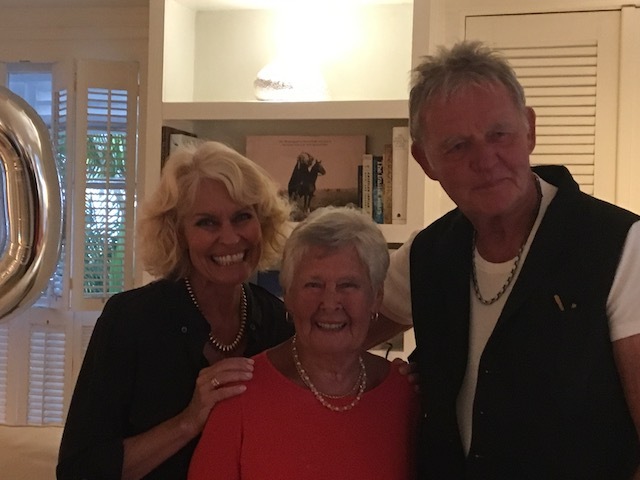 Mum looked absolutely great – and hearing that from so many people gave her a real boost. With her new fitness regime of swimming every day and the suntan that she has developed she definitely did not look like you expect a 90 year old to look. She and my late stepfather Theo Pattison moved out here just over 11 years ago …. Theo said at the time that he would rather have 1 year here feeling the way he did rather that 10 years in the UK feeling the way he did there. He lived for 5 1/2 years and I know that he enjoyed all of his time here. He was 86 when he died. 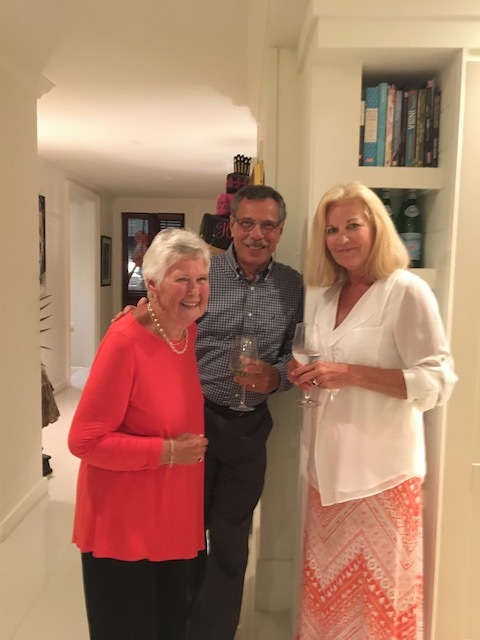 Mum took to modern technology in a way that I still marvel at – she has her iPad and uses it to FaceTime family and friends in the UK as well as using it to read the UK papers on line, play games and sometimes indulge in a little on-line shopping ! 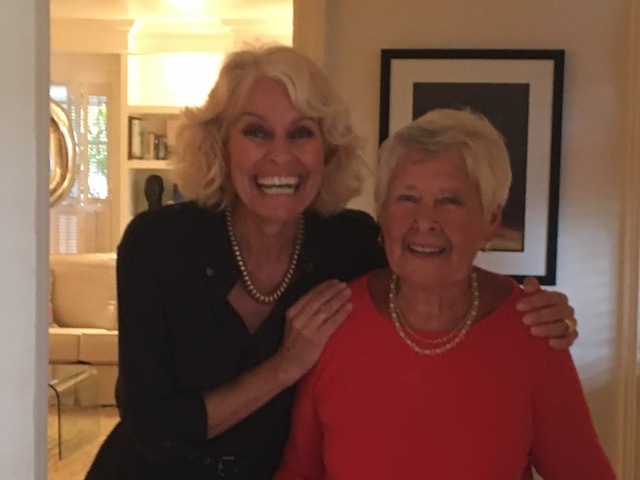 Wishing you a very happy 90th year Mum – and plenty more to come !! 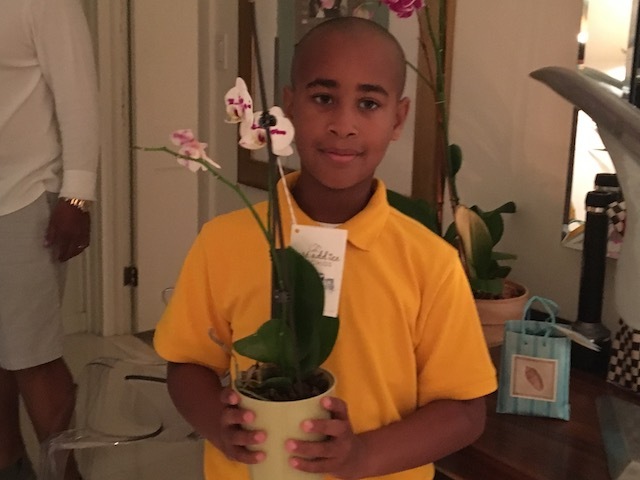 Funny how one thing leads to another and other stories in Eleuthera ! 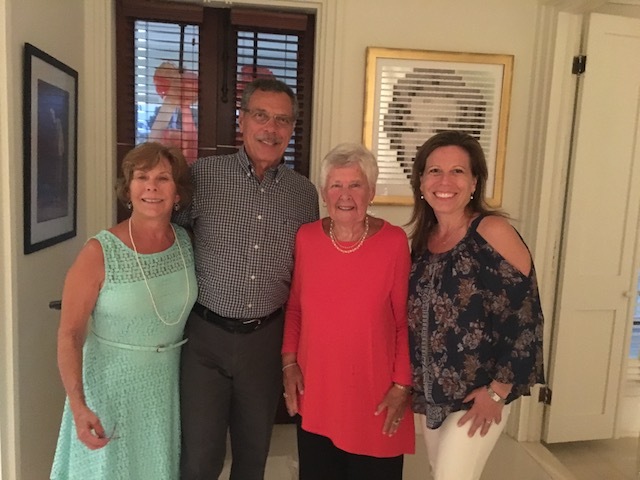 A wonderful event for a wonderful family! Thanks for your kind words….. Happy birthday Mary! Looks like a great party. Well done everyone! Thanks – and see you soon…..
Oh Kathy! You and company are the most loving celebrating family in style with a smile! 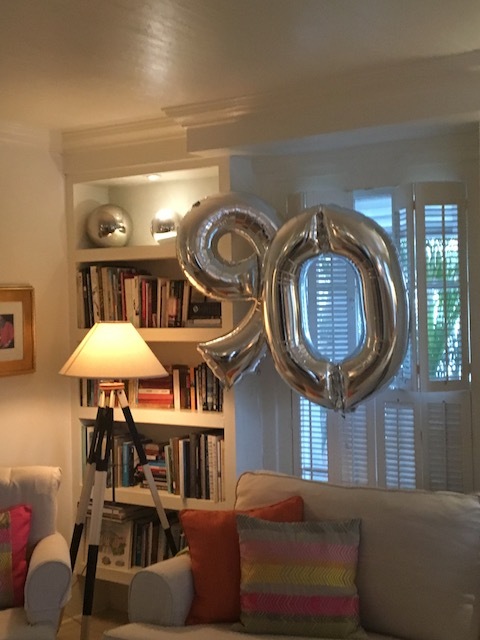 Wish I’d been there…90 years? We should all be so lucky. Congratulations Mary. You look splendid. 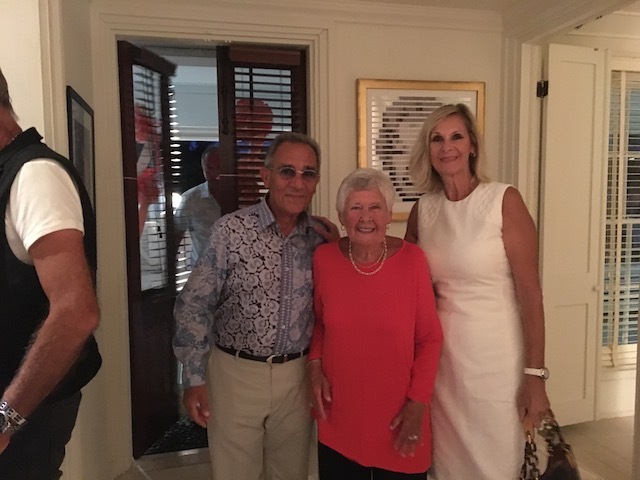 Thank you Kathy and Bob for a fabulous party with great company and delicious food. Eileen and Ian. Lovely to have you there …. 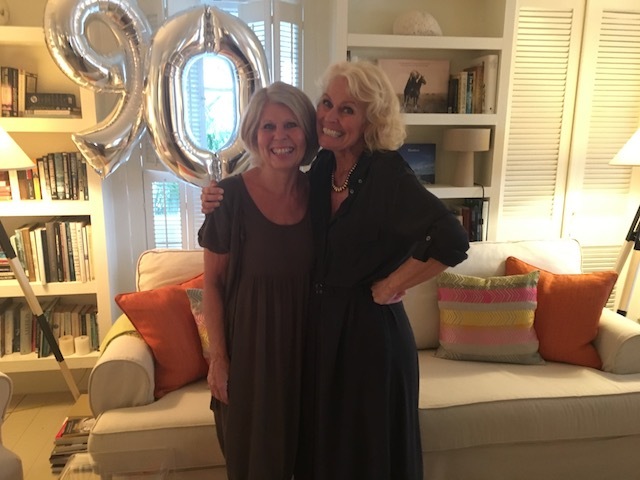 So enjoyed seeing Mary’s 90th!!!! !